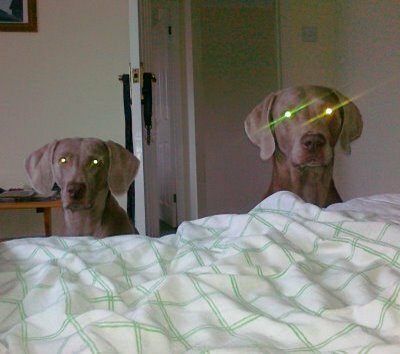 Storm was born on 14th July 2002, and the 14th is celebrated in some parts of the world as Bastille Day, hence the inspiration for our kennel name, "Bastillian Weimaraners". Initially we went down the obedience route with Storm, which was very successful. 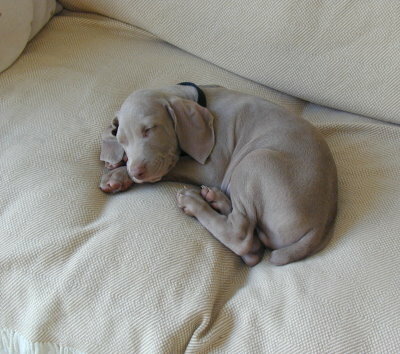 However, I had harboured an aspiration which dates back from Storm joining the family that would lead to us undertaking gundog training with Storm and then with later owned weimaraners. 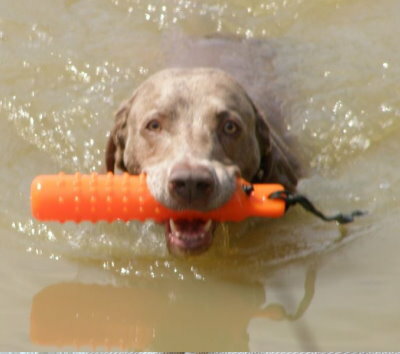 Storm took readily to Gundog Training, initially on dummies, and he excelled in water. Ultimately success came with Storm at Gundog Working Tests held under KC Rules and Regulations, although he was a very late starter. 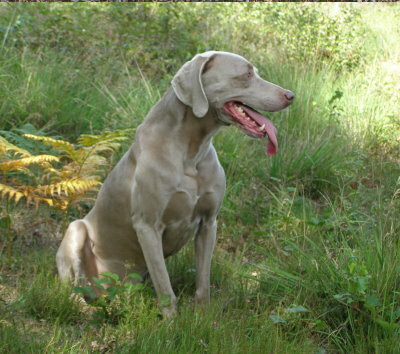 Later he was used primarily as a rough-shooter's dog and was a very capable gamefinder and retrieved well. Deriving a lot of personal pleasure from so doing. 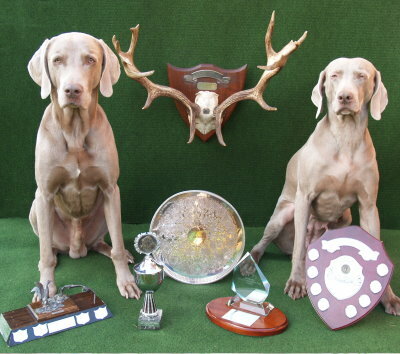 Storm did enough in his one and only season of GWT's to secure the prestigious Aschfahl Trophy from the Weimaraner Association. 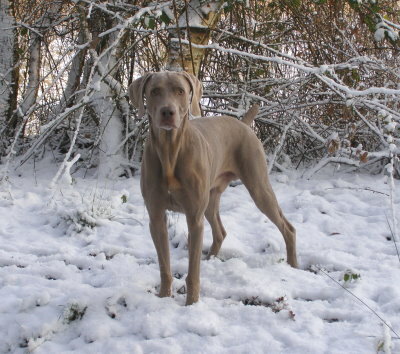 Sadly Storm passed away on 12th June 2014, a month before his 12th birthday. He was a happy go lucky character and a much loved and cherished companion, truly devoted to his master and is missed beyond what mere words can convey . So this is where we part, My Friend, And you'll run on, around the bend. And I, fair, impartial, or so I thought, Will remember well all you've taught. Your place I'll hold, you will be missed, The fur I stroked, the nose I kissed. And as you journey to your final rest, Take with you this...I loved you best.